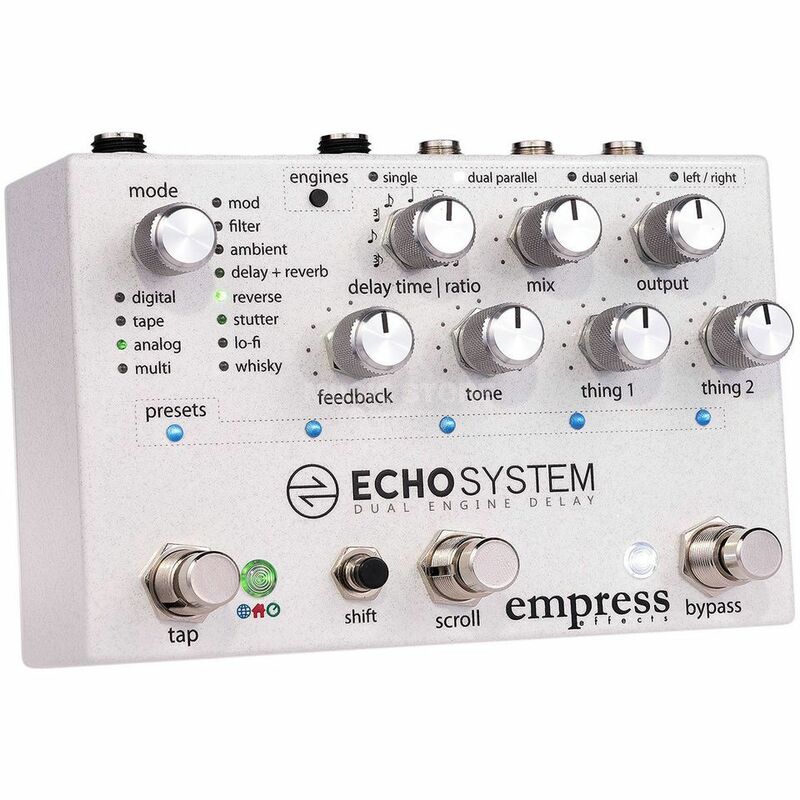 With the Empress Effects Echo System, the effects company from Ontario, Canada presents a versatile delay for electric guitar that convinces with its first-class and numerous sound variations. The pedal offers more than 36 effect algorithms covering classics such as tape, analog and digital echoes, but also ambient, reverse and modulated delays. Thanks to the tap tempo and ratio function, it is possible not only to precisely set the delay time, but also the rhythm of the repetitions. Thanks to the clearly arranged control panel, the Empress Effects echo system allows you to set the right sound in no time at all and store it on one of the preset stations.